High quality and priced rugs have the capacity and potential to live for centuries but that doesn't mean that you must be obsessed with their maintenance engaging in carpet cleaning every other day. Besides, half of the people who choose handmade rugs see them as a good investment having in mind to pass them over to the next generation. Most of the times, this is easy to be achieved as long as rugs will not go through bad water or fire problems, which would threaten their condition and probably shorten their lives. The presuppositions for maintaining rugs young and beautiful for long start in the store where you are still flirting with them and continue at your property with regular residential carpet cleaning. This simply means that you must devote some time searching around for the right rug for your house. You need to feel the sensation of wool rugs and it is important to collect information in advance in order to tell the difference between high and low quality rugs. Make sure that the salesman would give you the right information about the rug's characteristics and everything you need to know about the right carpet maintenance. 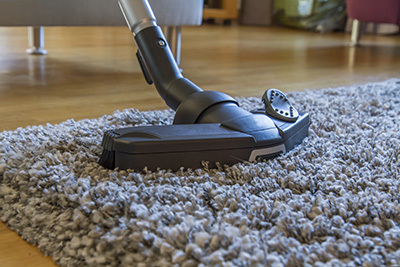 * It is obvious that home carpet cleaning includes weekly vacuuming but if you have chosen silk rugs, you should vacuum them more rarely or prefer to clean them with special brushes in order to protect the fibers. You must never vacuum the fringes to avoid their early destruction and prefer to clean them with some soap and water. * The truth is that cleaning the rug using your hands is tiring but it is also effective. If you devote a few minutes to scrub gently the surface of the rug with the mixture of water and vinegar, you will notice the difference in the colors right away. If you have pets or many people stepping on the carpets, you should also use cooking soda for odor removal. * Rugs can forgive you small mistakes concerning the procedures or frequency of house carpet cleaning but you will be in trouble if there is a great flood problem and the rugs get soaked. You must regularly check for moisture and signs of mold in order to remove them fast.